What should I expect if I am visiting Ireland to attend a Funeral? Tragic circumstances yes, but one of the best ways to observe Irish culture is to be part of an Irish funeral congregation. In Ireland typically the funeral occurs 2-3 days after the time of death. This makes it difficult for people in the United States to arrange Transport and Accommodation if a family member passes away in Ireland. However, many Americans, be it those with no Irish connections who are married to an Irish person who may have parents or relatives back in Ireland or second generation Irish who may be flying to Ireland for the first time for their grandparents funeral will find an Irish funeral a unique experience. In rural areas more of the old traditions exists to this day while in urban areas these traditions have been modernised and changes with respect to the practicalities of modern living. Rows of cars parked along a country lane, staff from the funeral home acting as parking attendants outside the deceased home is not an uncommon scene. Expect to be offered tea and to chat with strangers. Coming all the way from the United States means that many who are at the wake will like to ask you questions on where you grew up and how you are connected to the deceased. Expect to see neighbors, work colleagues, friends, family and former sports teammates attend. In many ways, Country wakes will show you a good cross section of Irish life. The funeral typically takes place in a local church with a graveyard nearby. In some cases, the coffin will be carried by family and locals with different people switching in and out. It is common for the Family of the deceased to invite those who attended the funeral back to a restaurant or pub for refreshments. Here many stories are told and the deceased is remembered. In a lot of cases, city funerals are similar to what you would experience in the United States. The body of the deceased is reposed in a funeral home and people arrive to pay their respects there. Never the less, stories about the deceased are told. The funeral will be the same as a country funeral. The funeral procession may walk part of the way to the church. In many cities and large towns, the graveyard can be a number of miles away from the church. Typically the funeral attendees who wish to also attend the burial reconvene at the graveyard. If you would like to learn more. 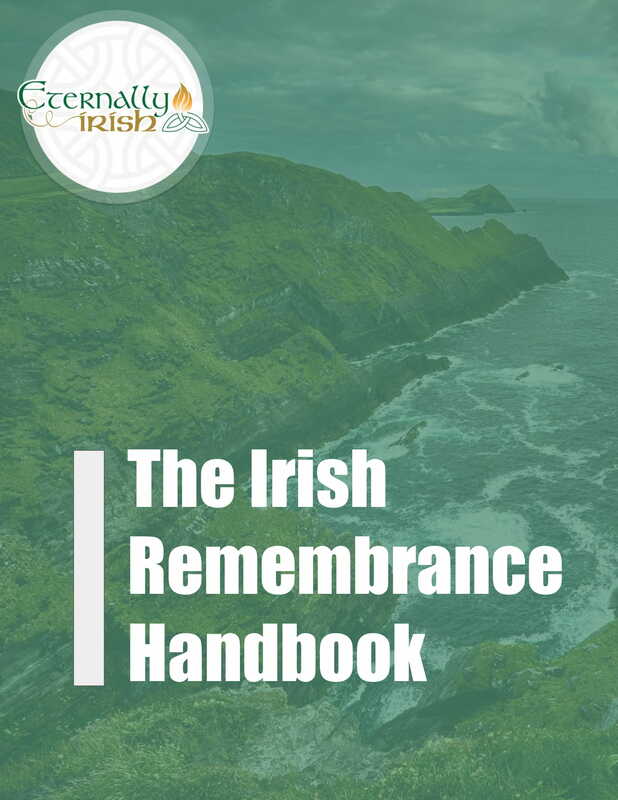 We have put together a handbook on Irish Funerals here.